Color: Five Colors , Black, Green, Grey, Blue, Red. Scan images with up to 900 DPI resolution and save them directly to a SD memory card (not more than 32G). 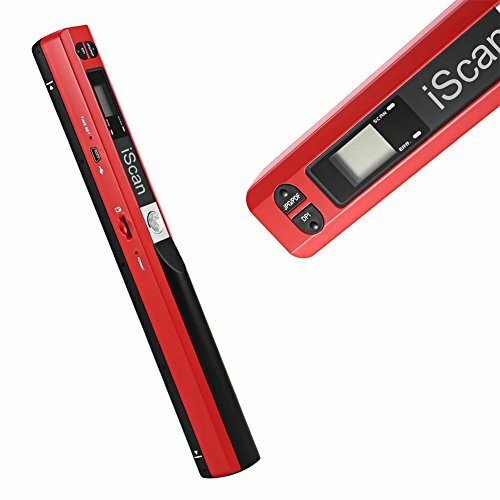 ortable, handheld scanner suitable businessmen, students, travelers and amateur archivists. With our high rating top Portable Documents scanners, Our Products is the first choice for over 1.3 million Amazon customers. If you are unsatisfied for whatever reason, we will give you a full 100% money back guarantee. If you have any questions about this product by Pettstore, contact us by completing and submitting the form below. If you are looking for a specif part number, please include it with your message.